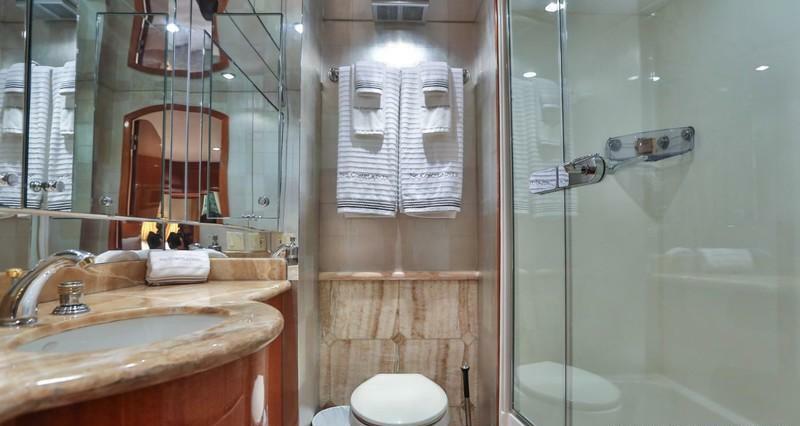 Luxury motor yacht NO COMPLAINTS was launched in 2004 by the well renowned Hatteras Yachts and received an extensive refit in 2014. 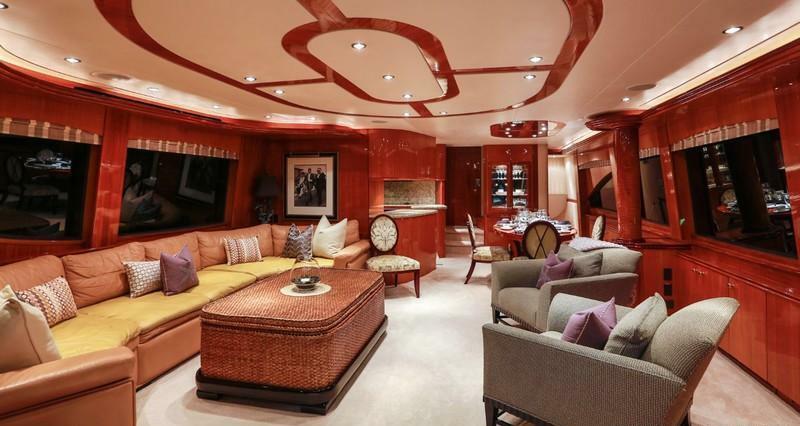 Measuring 24.4m (80ft), the NO COMPLAINTS motor yacht offers crewed yacht charters in Florida and the Bahamas. 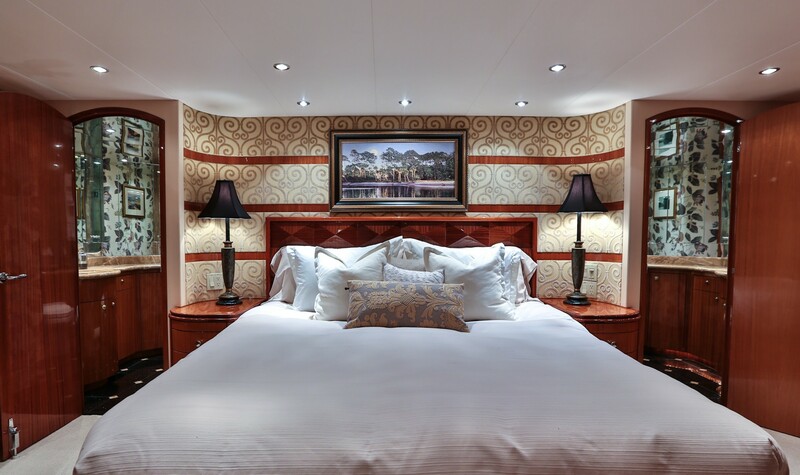 With deluxe accommodation for up to 8 charter guests, NO COMPLAINTS is the ideal choice for families and friends. 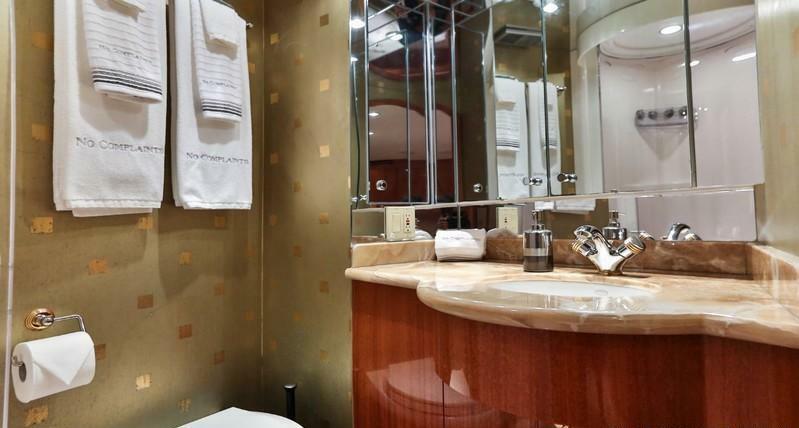 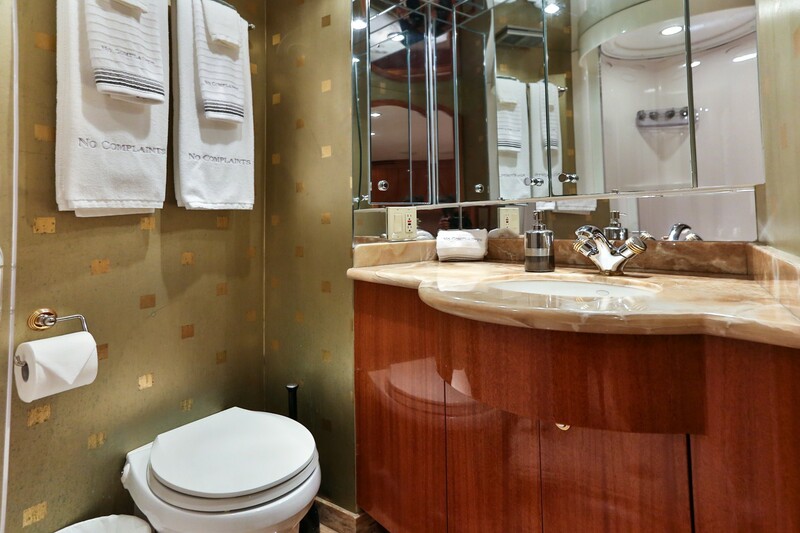 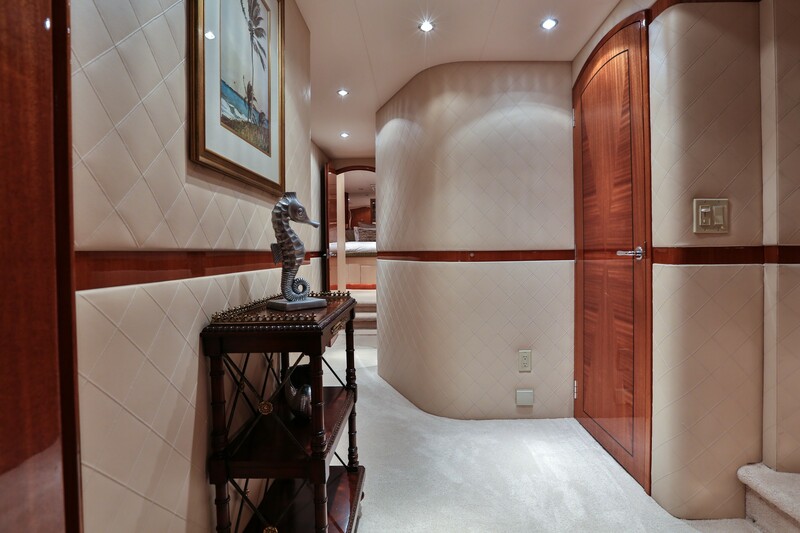 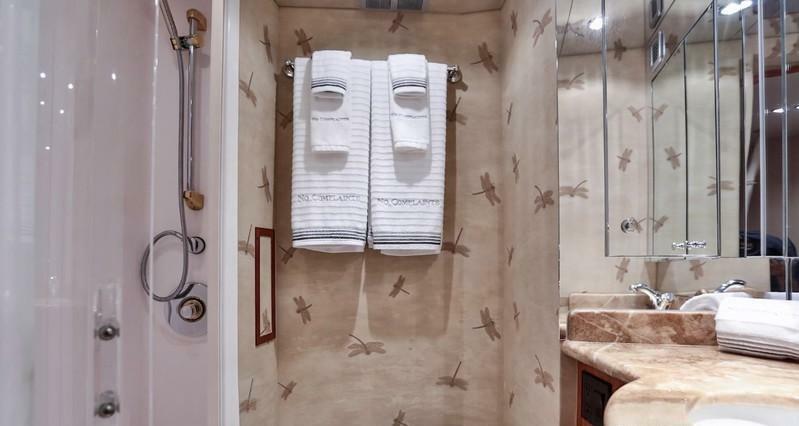 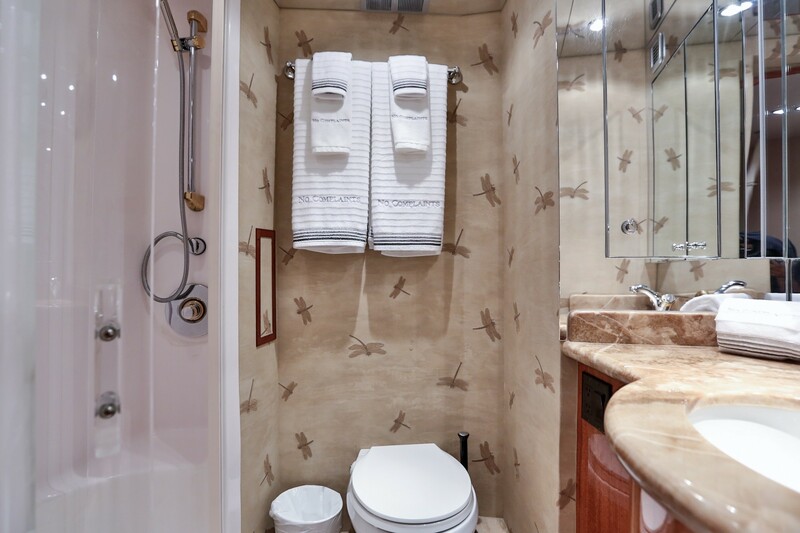 M/Y NO COMPLAINTS features a warm contemporary interior décor, creating a soothing and welcome ambiance. 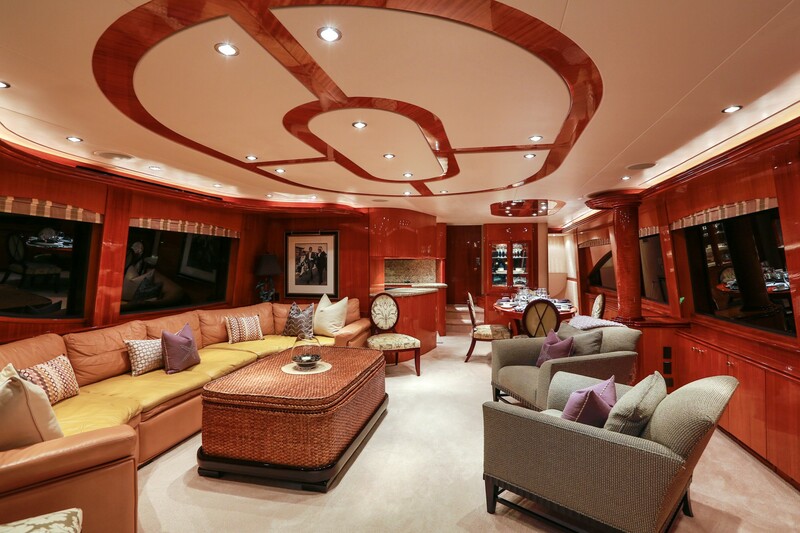 The salon and dining is an open plan, with the generous lounge aft, offering a large sofa, occasional chairs, coffee table and full entertainment. 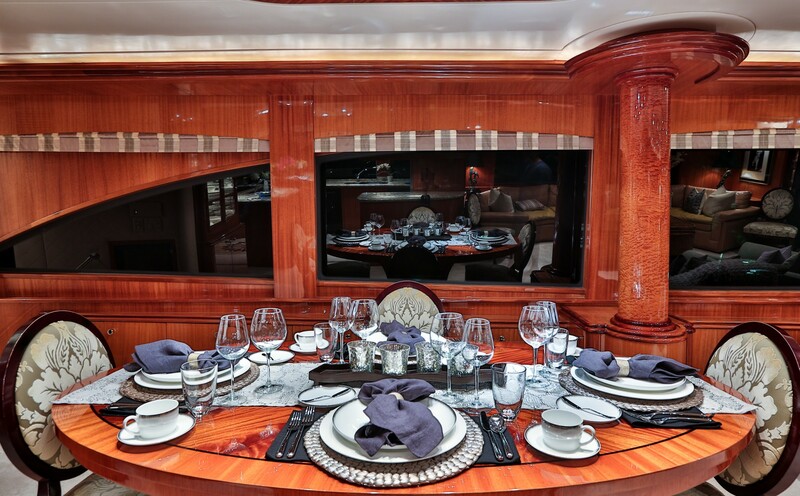 The formal dining area is forward of the salon on the starboard side, boasting an oval table of true craftsmanship and distinction. 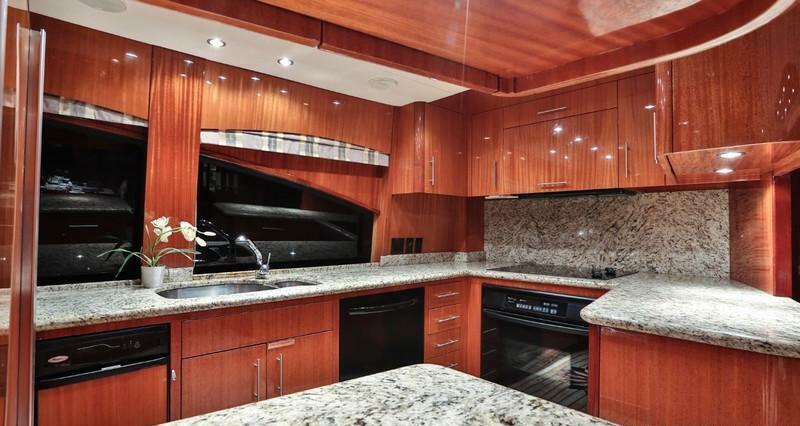 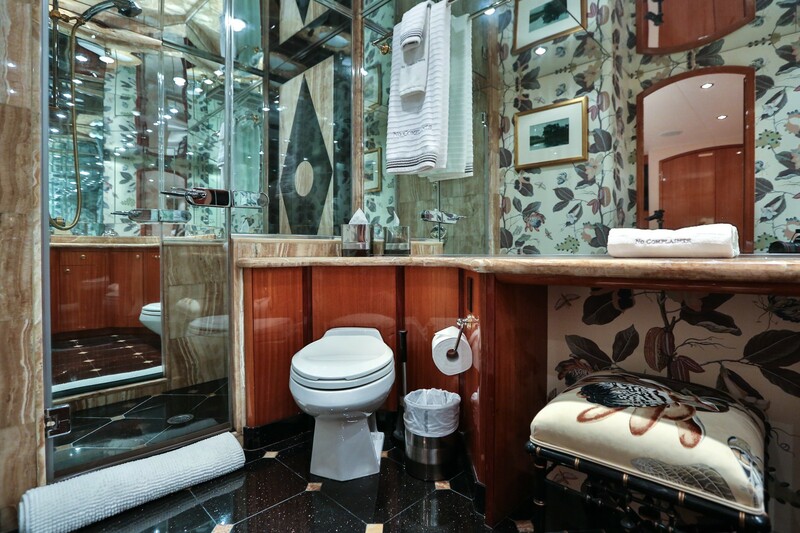 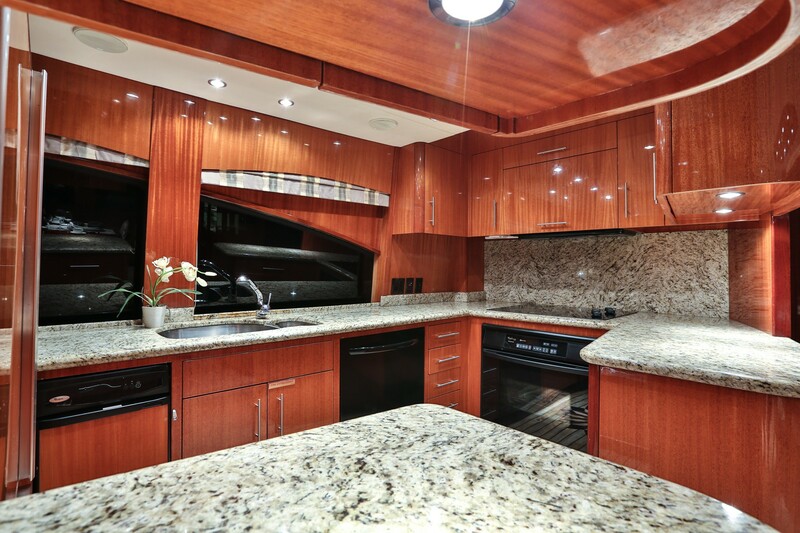 The high end galley is to port, fitted with the finest stainless appliances and marble topped counters. 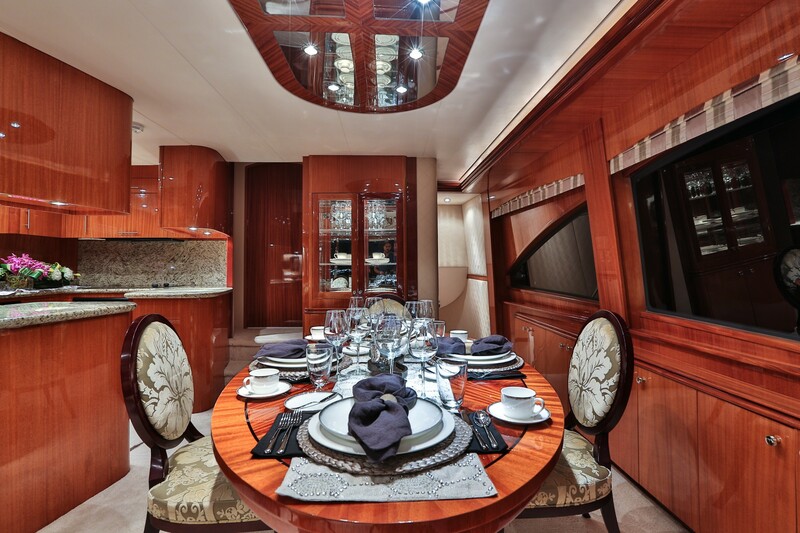 Panoramic windows allow ample natural light to infuse the well-appointed space. 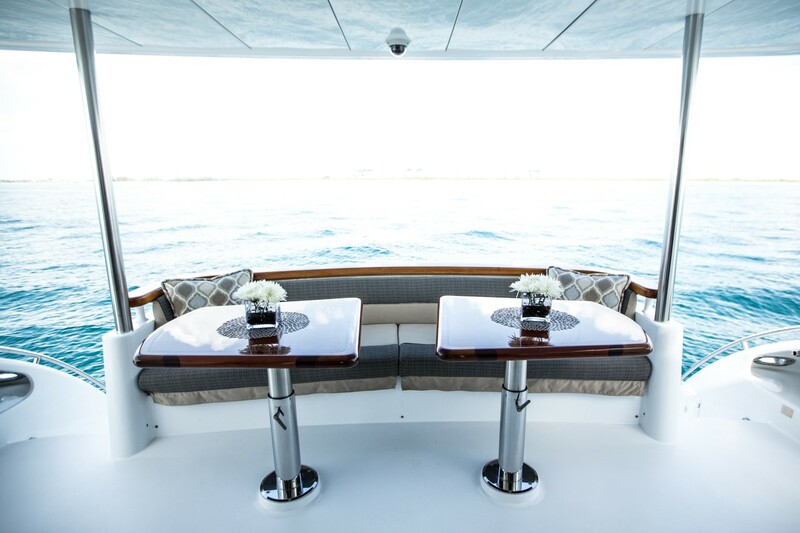 Forward, the pilot house offers an additional area to relax and enjoy the yachts performance underway. 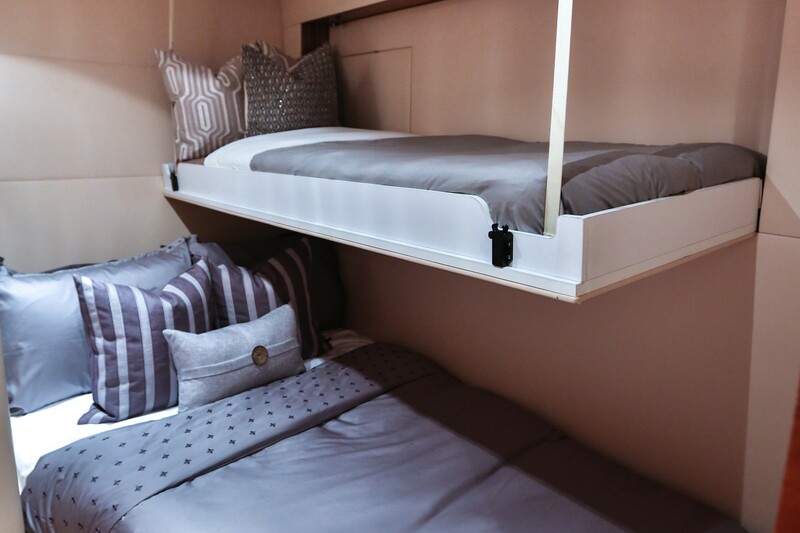 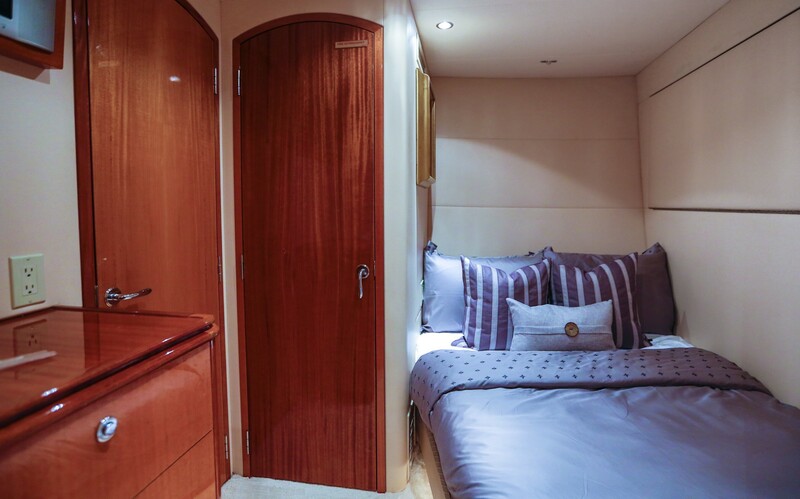 Guest accommodation is below decks in 4 stylish cabins. 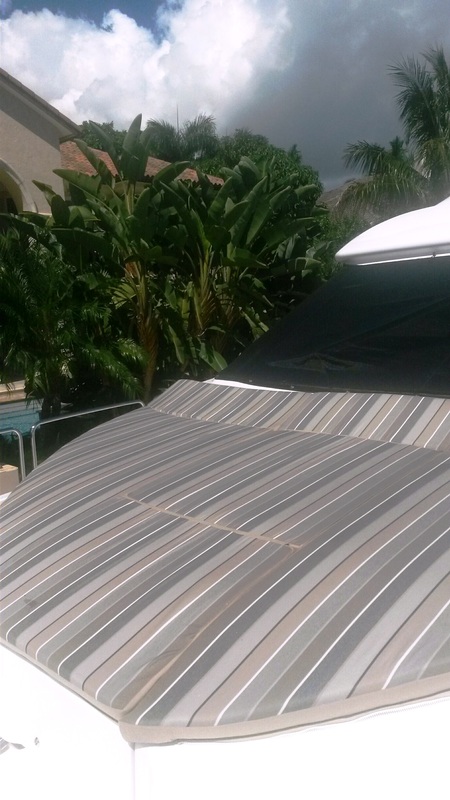 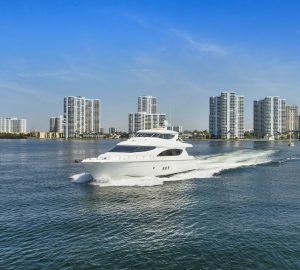 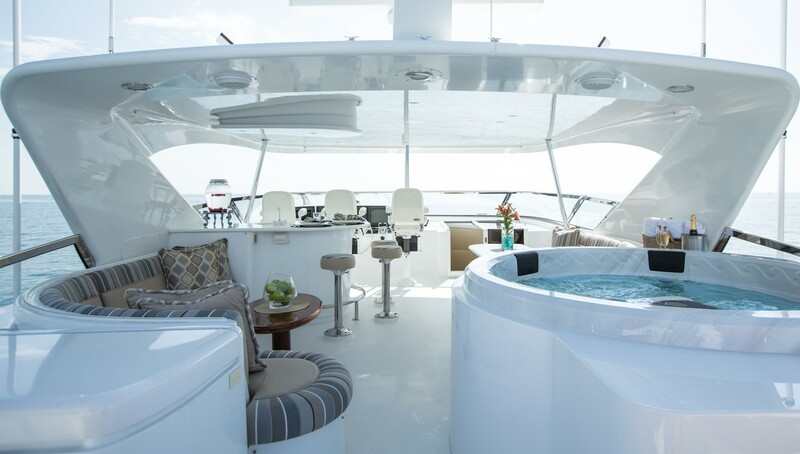 A luxury yacht charter in Florida or the Bahamas is all about the outdoor living and the NO COMPLAINTS yacht certainly delivers on her exteriors. 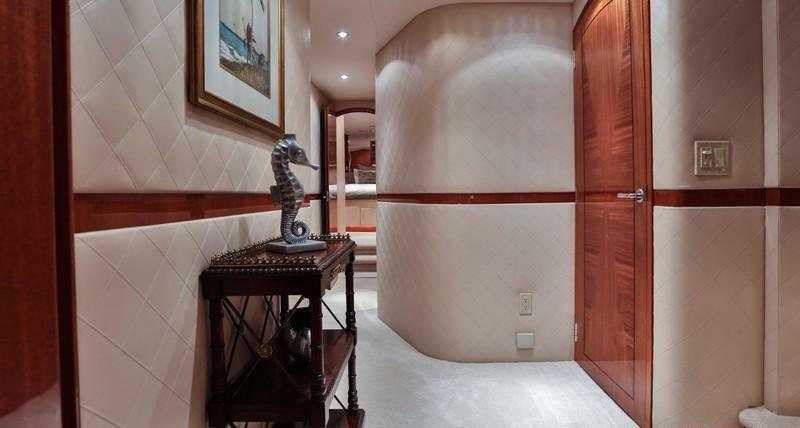 The aft deck is adjacent to the salon, via sliding glass doors, opening out to boast a fabulous entertainment venue and alfresco dining option. 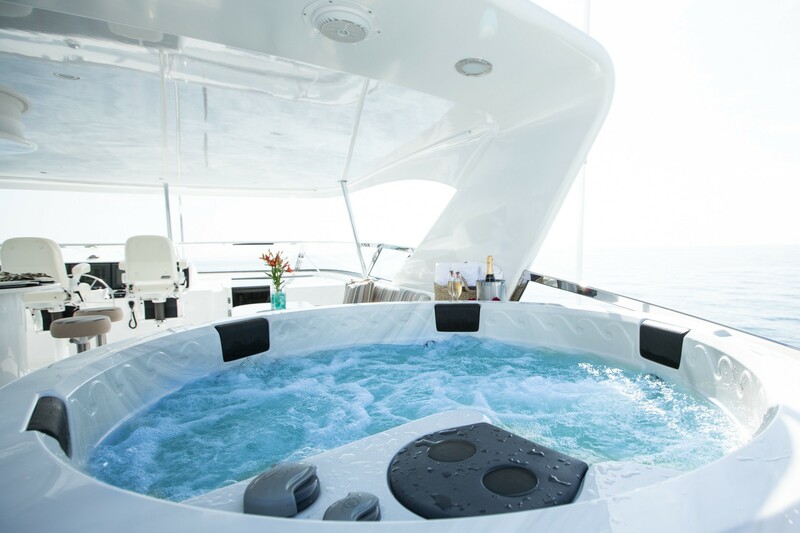 Further aft, the extended swim platform provides guests with effortless access to the warm azure waters. 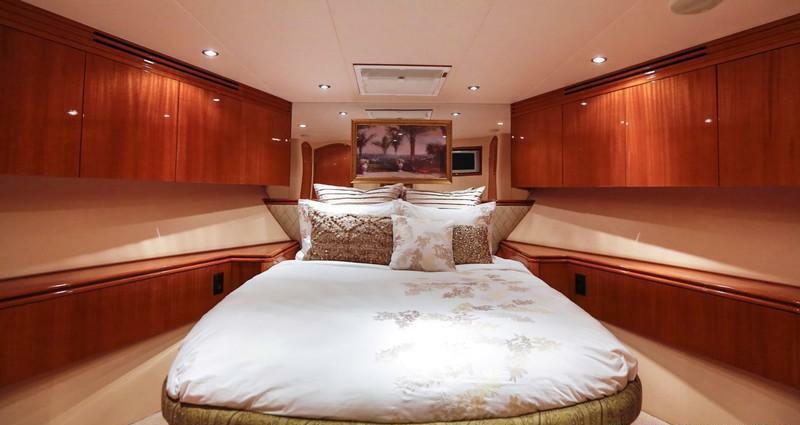 The Hatteras 80 yacht NO COMPLAINTS boasts an upper flybridge, perfect for casual or elegant entertaining, complete with a generous seating area, alfresco dining, BBQ and fridge service station and large sunpad. 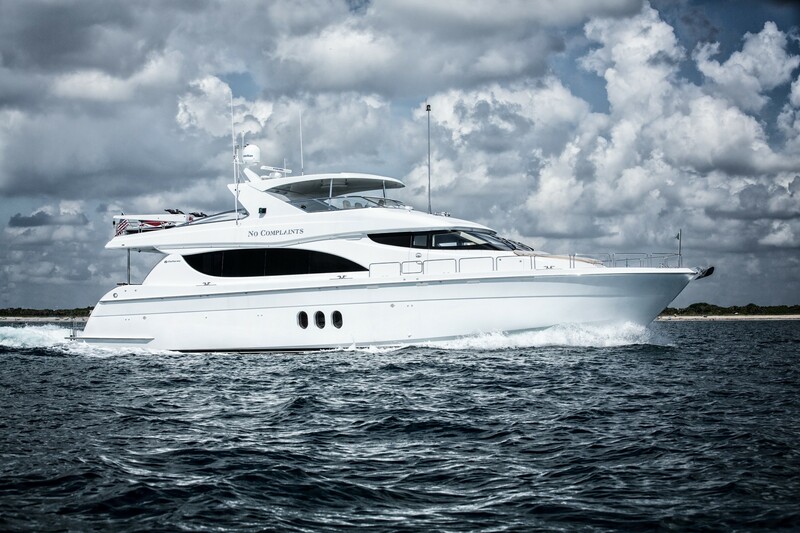 Powered by 2 x CAT 1550hp engines, the crewed charter yacht NO COMPLAINTS cruises at 20 knots, with top speeds of 24 knots. 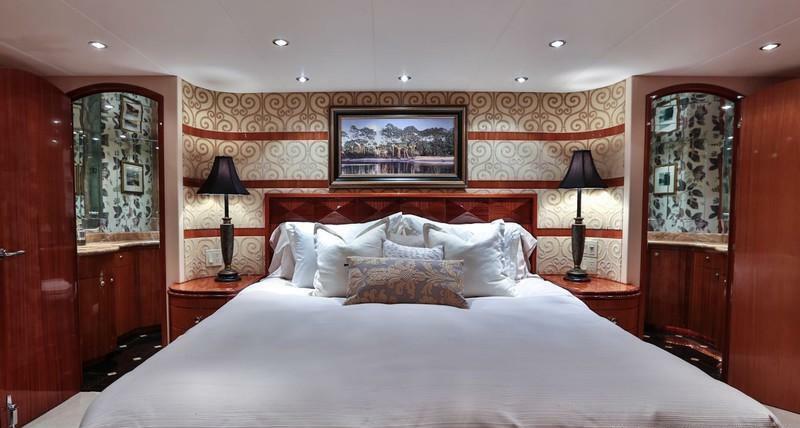 Below decks, NO COMPLAINTS has 4 guest cabins to accommodate up to 8 charter guests, each with private en-suite facilities. 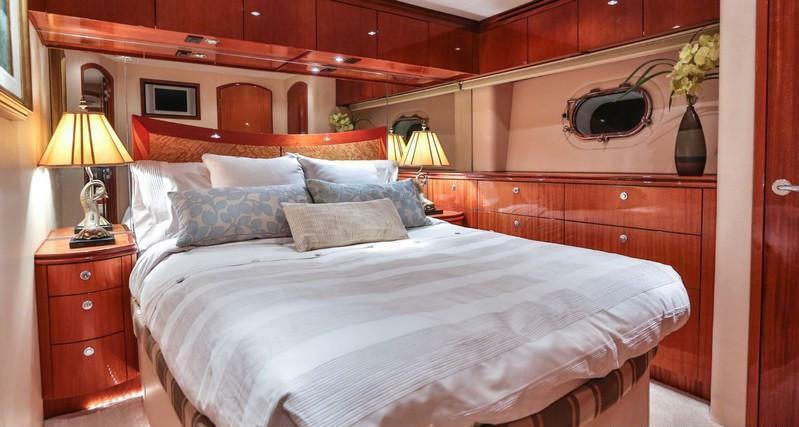 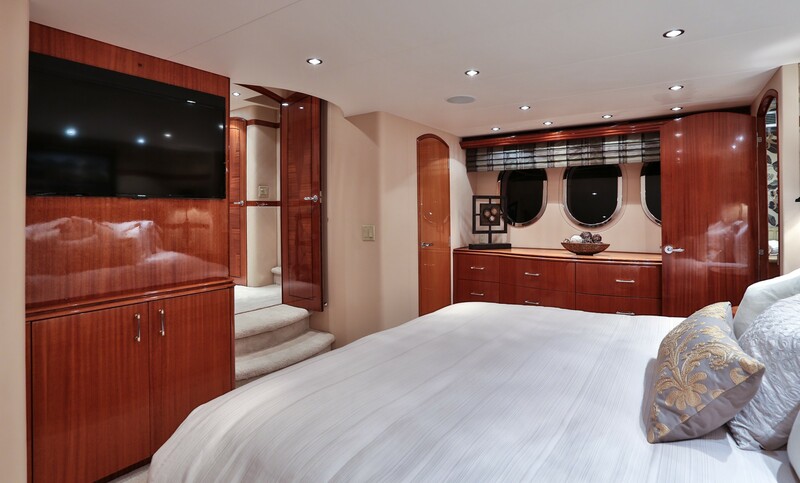 The master stateroom is amidships and spans the full beam of the yacht, with a king size bed and his and hers heads, closets and dressers. 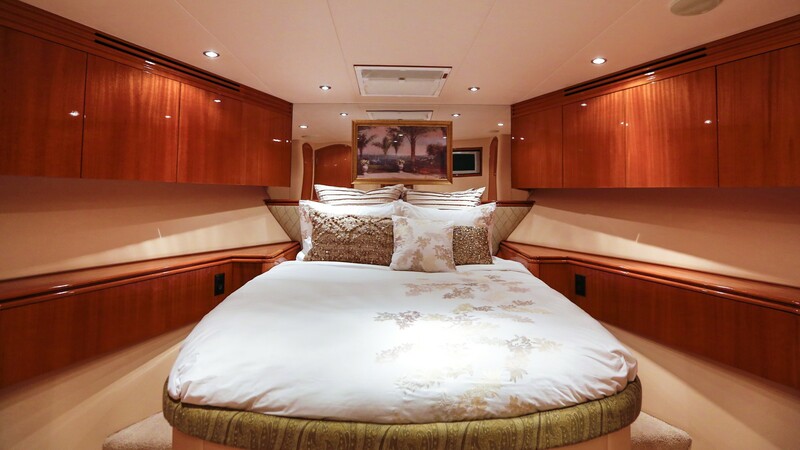 A VIP cabin is forward and full beam of the yacht, offering a center lined queen size bed and walk in wardrobe. 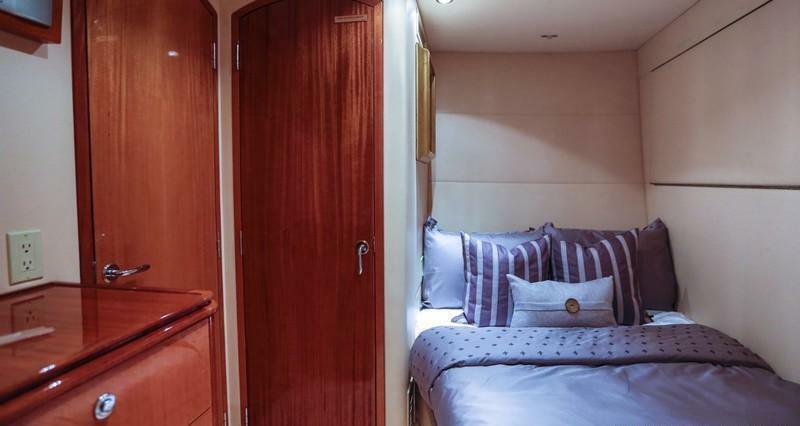 On the port side is a guest cabin with a queen size bed, while to starboard is a guest twin, offering a single bed and Pullman berth. 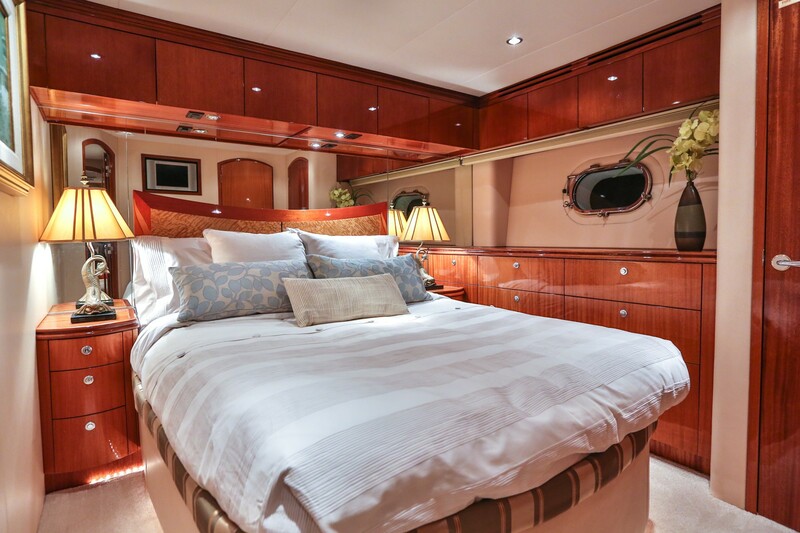 Each cabin enjoys an individual thermostat for the air conditioning and full TV entertainment. 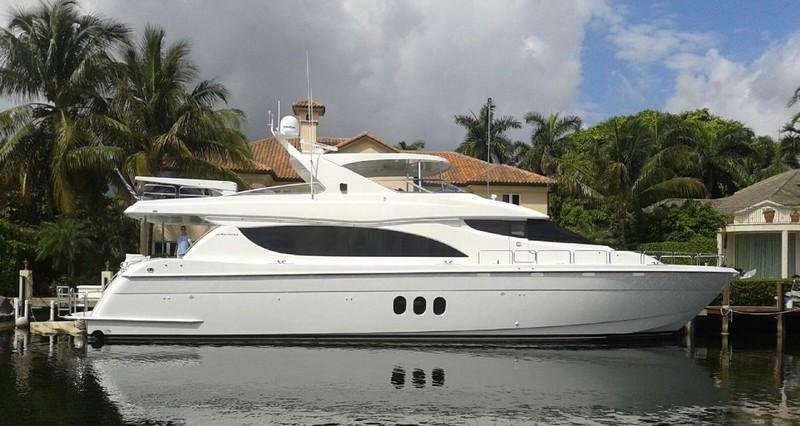 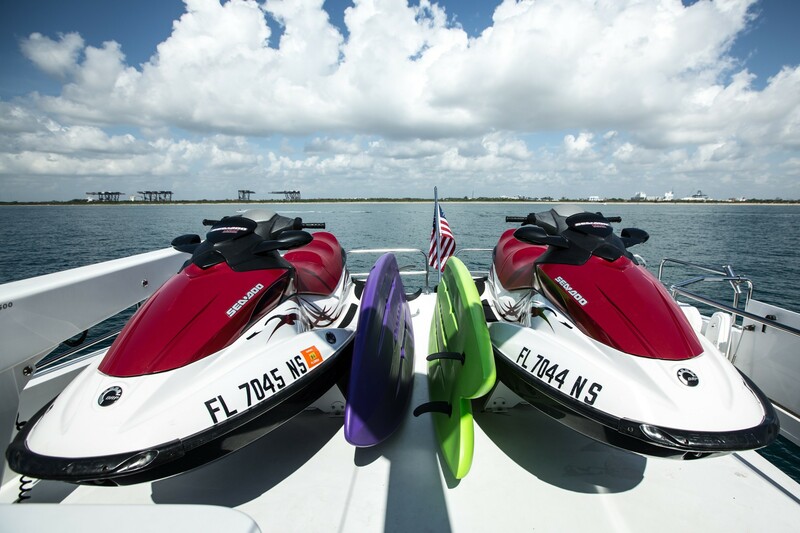 The Hatteras 80 motor yacht NO COMPLAINTS has 2 waverunners, Super Mable, Dinghy: Novurania / 15ft 0in (4.5m) / 60HP, Towable Tube, Towing ring, Wakeboard, Adult waterskis. 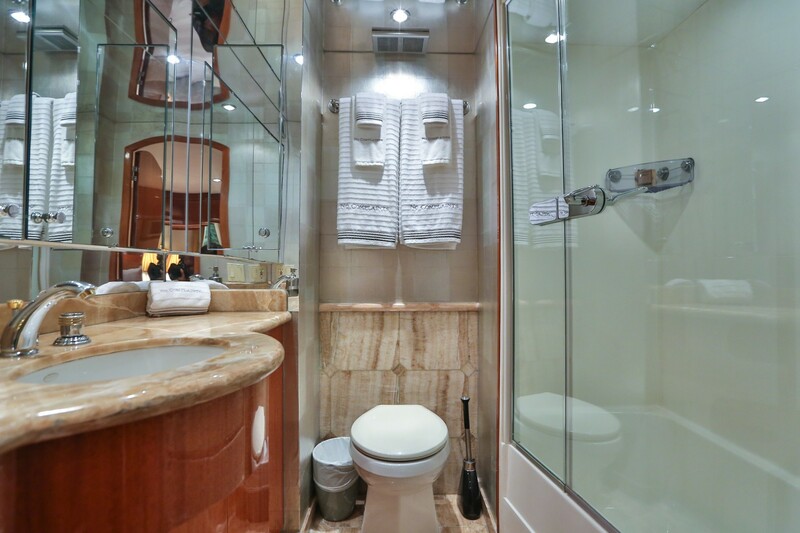 Diving by arrangement / rendezvous, Snorkeling gear. 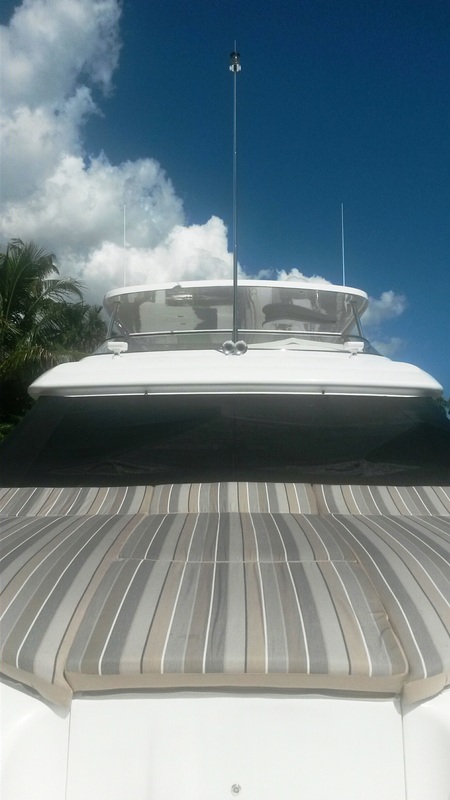 CD library, DVD player, Satellite television, DVD library, Stereo system, Air-conditioned: Fully, Barbeque, Swim platform, Jacuzzi on deck, Cell phone. 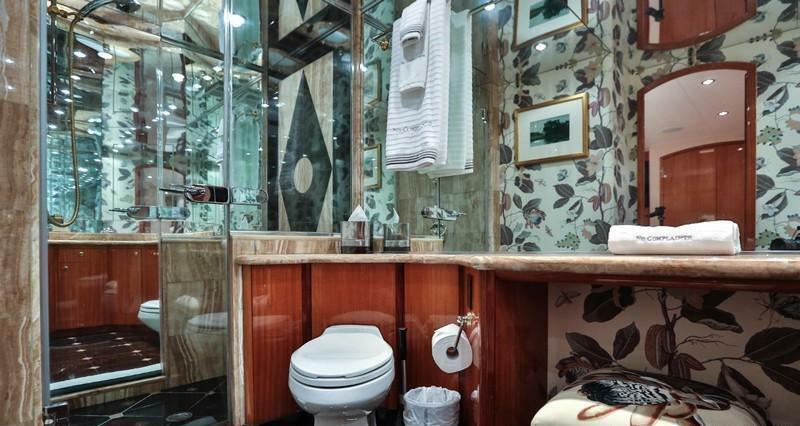 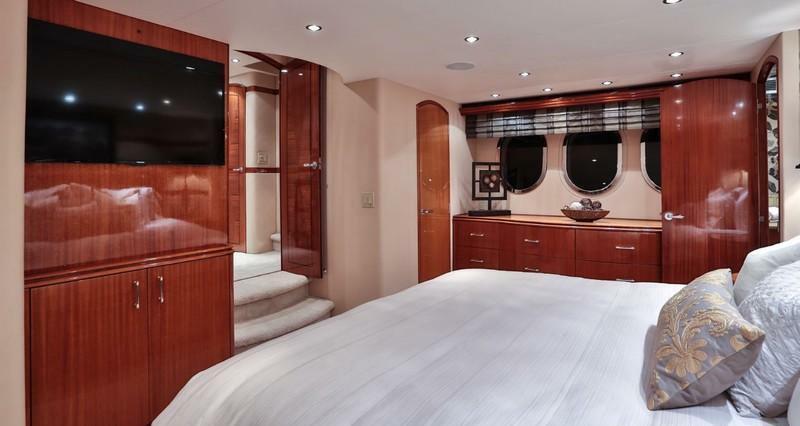 Yacht NO COMPLAINTS - Starboard Guest Cabin.